These are movement patterns that we use in everyday life. Either one movement at a time or combining several movements to achieve a task. 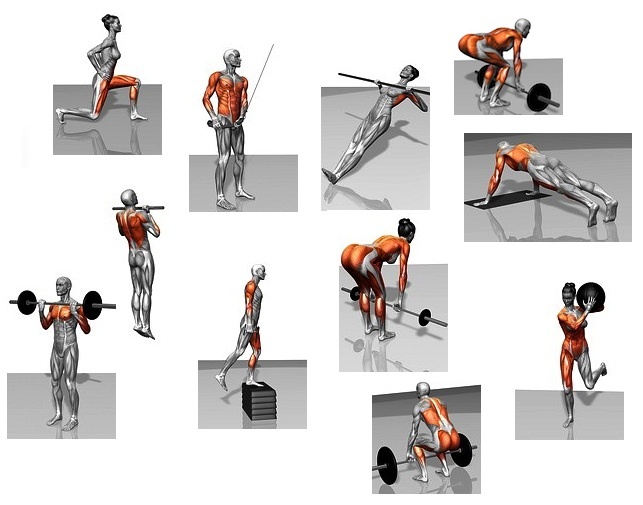 No longer think in terms of muscle groups, instead begin making exercise selections based on movement patterns. If you’re going to do the bench press make sure you do a rowing exercise. This approach to lifting will keep you from being injured in the future. How? You’ll maintain muscular balance around your joints. Doing so will stop muscle imbalances, which lead to injury.